Sunday 22nd of March the weather remained very unsettled, but at least I woke with a view of the mountain. In the morning I popped down the road to meet Eric and Angela, the owners of their very interesting and beautiful Gite Belle Vie. The property is set in an idyllic position surrounded by forests, a mountain stream and grazing farmland. It is set back a couple of hundred meters back from the main road but very close to the starting point of both the Col du Tourmalet and the Col d’Aspin in the village of Saint Marie de Campan. Three rental Gites have been lovingly created from old stone outhouse with 1, 2 and 3 bedroom. Each can be rented individually, or together with a group of up to 12 people. Eric and Angela can also provide breakfast and or an evening meal, brought right to your Gite. All have modern kitchens and living rooms, complete with wifi throughout, television with TNT satellite plus wood burning stoves if the evenings get a little chilly. Each unit has its own private terrace and other seating is dotted around the grounds, including a one around a specially created fire pit next to the banks of the stream. What makes this business even more interesting is that their son runs his own cycling guiding and tours, which can be based at the Gites as well as other locations around France. He is able to design and create bespoke cycling holidays or vacations to match each individual clients requirements. Many of these tours involve the participation of ex professional cyclists. 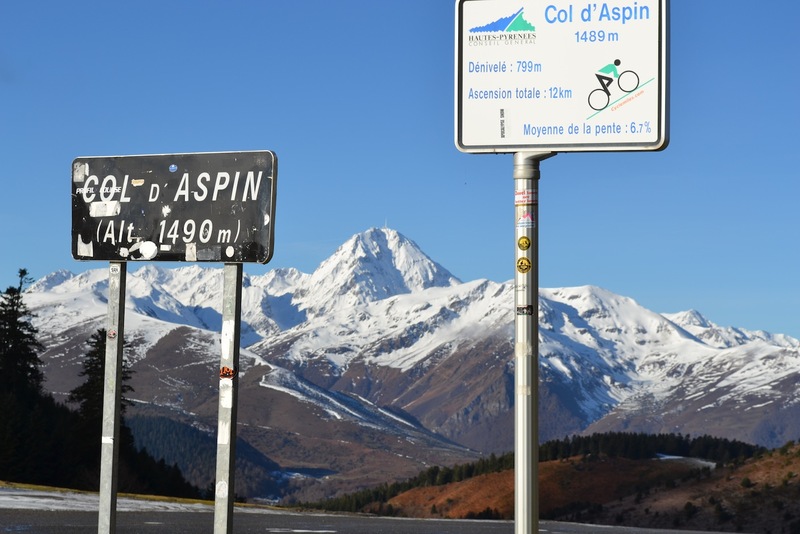 Since the Col du Tourmalet is unfortunately closed at this time of the year, I headed east over the Col d’Aspin and down into Arreau in the reverse direction of what will be part of the stage 11 of the 2015 Tour de France. From here it’s up the Louron Valley and over the Col de Peyresourde and down into the spa town of Bagnères de Luchon, the start of the famous climb to Superbagnères. From Luchon it is possible to pass into Spain via the Col du Portillon. Toulouse and my return flight. I shall be back in the summer to see it in its full cycling glory.